GMT94 Yamaha rider had his bike modified to be able to ride with the consequences left from the injury he sustained in Qatar. 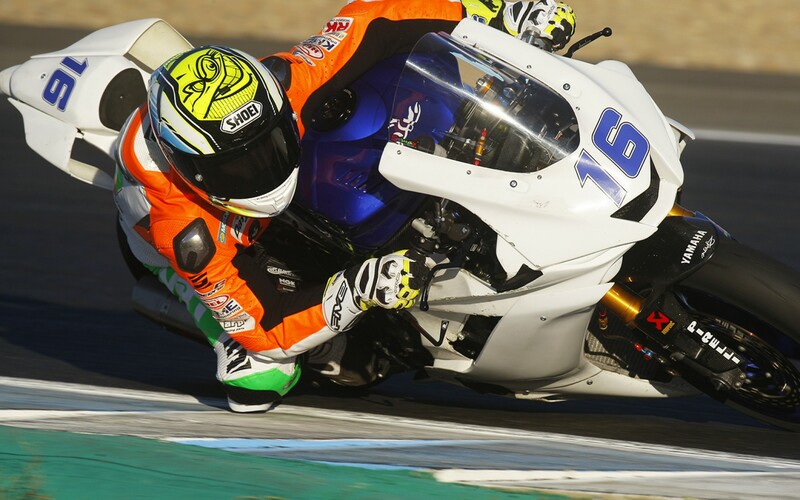 Jules Cluzel (GMT94 Yamaha) returned into action during the last pre-season test held at Jerez and Portimao last week, after a long period that saw him forced to sit out from any on-track activity. The Frenchman was still recovering from the left leg injury he sustained at the final round of the 2018 season in Qatar, and which it was the same leg where he fractured tibia and fibula in 2015. Following the dramatic accident on the final lap of the WorldSSP race at Losail Circuit, the Frenchman, who was fighting there for the championship title, had to see his rival Sandro Cortese being crowned 2018 WorldSSP Champion instead. Cluzel had to undergo surgery and face a three-month recovery time before being able to stand on his feet again, and today he keeps suffering from the consequences of this injury. 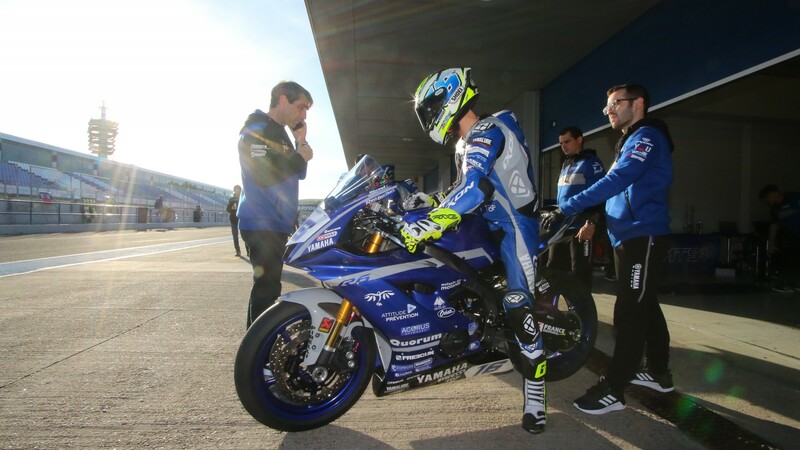 Despite this he was still able to take to the track around Portimao and begin his preparation for the 2019 FIM Supersport World Championship season, that will see him on board the Yamaha YZF 6R of the all-French team GMT94 Yamaha alongside compatriot Corentin Perolari. Riding in this condition, Cluzel had his bike slightly modified and his YZF R6 now features a modified braking system and the rider can change gears using his right foot instead than the left one. Still, Cluzel was able to put in a reassuring performance ahead of the season opener that will take place at Phillip Island in less than a month. The Frenchman set the fastest lap time among the WorldSSP riders who took to the track at the Portuguese race track and impressed by putting in a lap in 1’44.810, closing the two-day test at the top of the timesheets, more than half a second ahead of Raffaele De Rosa (MV Agusta Reparto Corse) and almost one second ahead of Lucas Mahias (Kawasaki Puccetti Racing). “I still feel some pain in my ankle, but it is quite normal. I went through a serious chirurgical intervention and I will still need some time before I will recover completely” explained Cluzel to WorldSBK.com “I don’t have the same feeling than before, but I will build it up step by step. I spent nearly three months in bed without being able to stand on my feet and my hip were also affected by this. I went through some difficulties at the beginning, but I am getting used to this situation. 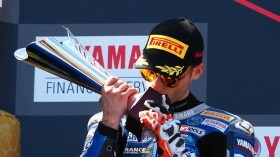 At Portimao I was gradually feeling better, and this made me relax a bit”. Speaking about the special bike his crew have prepared to let him be able to start his preparation for the new season the French rider said: “In general, I am a rider who gets used to everything. At the beginning, I wasn’t comfortable with it, because I had to change the habits I had been following for years. You need to get your head around this and make it automatic. It was difficult at first, but step by step I have started to feel much better with it”. 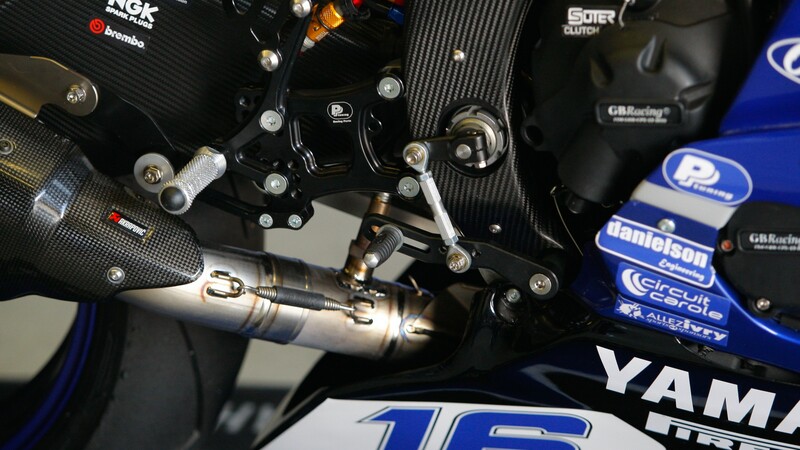 “Now I can control the rear brake system with my thumb, but for now I am not using it at all” explained the rider. “There are a few things that allow me to change gears with my right foot, but we need to improve the system because right now it’s not that easy for me to use it”. “Jerez test went well, but it was more a shakedown test for us” said the 30-year-old rider. “We proceeded step by step and the lap times were good. In Portugal, I immediately felt that my pace was strong even if I had a small crash on the first day. My manager Eric Mahé was there with me, and he helped me a lot. He perfectly knows me and helped the team to understand my needs, so that we were able to improve between the first and second day. On Monday I didn’t really try to make the fastest lap time, so I was really surprised to set the best time in 1’44.8. I was even faster than my qualifying time at Portimao last year, three-tenths of a second quicker than the record. It is quite a positive thing considering that I did that lap with chilly temperatures and in windy conditions”. 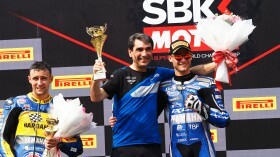 Guyot: "You don’t win titles in the first two races, but you can lose them"
Jules Cluzel was back on top of the podium to take the championship lead, and give Yamaha their 80th WorldSSP win! Cluzel: "It is a good weekend at the end"